Today I thought we’d take a trip back in time with a visit to some of Placencia’s best Mayan ruins. Not familiar with the Maya? Let’s get you up to speed! The Maya were an ancient civilization of Mesoamerica originating in around 2600 BC and rising to prominence in around 250 AD. With access to the teachings and inventions of the Olmec people, the Maya developed some incredible ideas of their own – including astronomy, hieroglyphic writing and the famous Mayan calendar. On top of all that, the Maya were also astonishing architects. They devised and built huge stone buildings including palaces, observatories and temples – and they did it all without the help of metal tools, the wheel or large animals! As accomplished farmers, traders and craftspeople, the Maya also built trade networks all throughout the region to trade with their own and other communities. The Mayan legacy can be seen all throughout Belize, and dotted around Placencia are some truly astonishing archaeological sites. The closest are Nim Li Punit and Lubaantun, about 2 hours away by boat across the lagoon. Xunantunich is also doable as a day-trip if you don’t mind the 3.5 hour drive each way. Nim Li Punit translates to “big hat”, and refers to the hat worn by one of the characters depicted in one of the site’s 25 stelae (big stone slabs). With multiple structures, including three plazas and a ball-court, it’s a must-see that’s close to home. Neighboring Nim Li Punit is Lubaantun, whose name means “place of fallen stones”. Given that no mortar was used to bind together its thousands of limestone blocks, you can see how it got its name! This remarkable location is the largest Mayan site in all of Belize, and is rich with stepped architecture, religious buildings, and tools and instruments left behind by its ancient residents. A little bit further away is Xunantunich, meaning “maiden of the rock”. The mystical ruins of this site tower over the local area, offering striking views of the river valley. The main feature is a vast ceremonial building featuring a frieze of the night sky, but there are numerous other plazas and temples to explore. This highly popular site has been heavily invested in by the Belizean government, which has spent innumerable time and money fully excavating the site and even building a new museum for visitors. Ready for a tour? Check out our friends at Truly Wild Belize – Jason and his crew will be sure you have an un-Belize-able tour. Plus – when you sign up for his newsletter, you’ll get a coupon for 10% off your first tour! Already explored the ruins? Why not learn a bit more about Mayan culture with a Mayan experience tour? These are a great way to experience the daily lives and rituals of the Maya. You’ll get to try ancient cuisine, learn about how they built their impressive structures, hear about traditional medicine, and even play an ancient musical instrument or two! 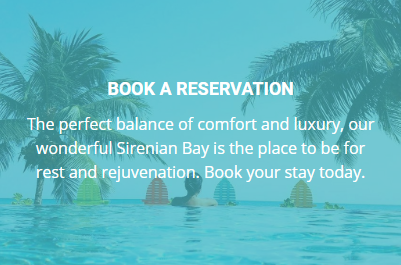 The Sirenian Bay family is happy to help out with tips and recommendations for sites and tours, so don’t hesitate to ask us! Until next time, this is Hugh Manatee…signing off!